Vera Satana and Valentina Amaro are co-editors-in-chief of Raíz Latinoamericana's new magazine. 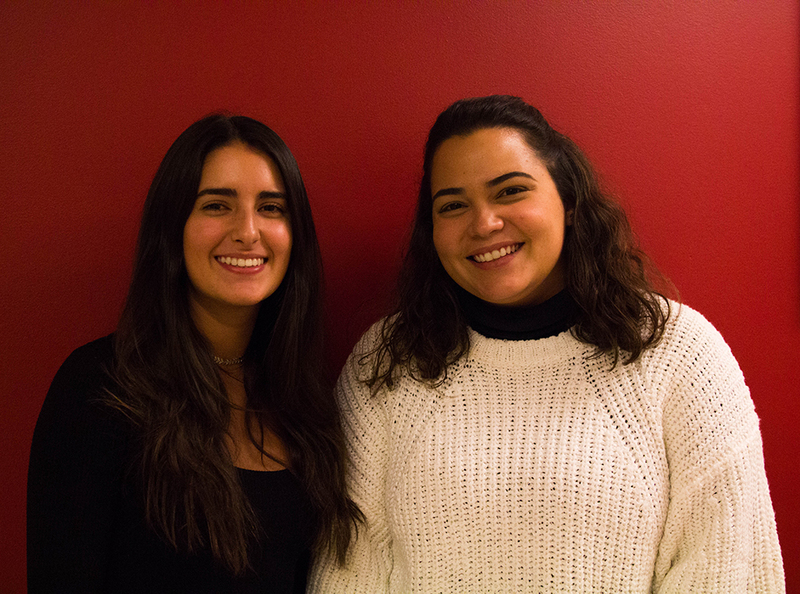 After two years on campus, Raíz Latinoamericana is expanding from theater into publishing a magazine, a short film, and a documentary showcasing the Latinx community at Emerson. Senior Valentina Amaro and sophomore Vera Santana serve as co-editors-in-chief for the new magazine, called Raíz—”root” in Spanish. The magazine will be published once a semester, with the first edition accepting submissions until Nov. 1. Amaro and Santana said they want Raíz to be bilingual. “It stems around the idea that the Latino community at Emerson is very small, and it’s a way of making us a little bit more prominent in our community and giving ourselves a voice,” Santana said. Originally branching off of campus organization Amigos, Raíz Latinoamericana was founded in the fall of 2015 and produced a play in December. This semester, they plan to feature art, writing, photography, and more in their new magazine. Amaro and Santana stressed that there are no limitations as long as content relates to the Latin American experience. Amigos president and senior Juan Coral said the magazine should come out in the first weeks of December, while the short film and documentary will be screened early next semester. Along with the magazine, Raíz Latinoamericana is producing a documentary about the hardships that people face under the current dictatorship in Venezuela. Romero said the political state affects many Venezuelan students at Emerson, and last year they were contacted by organizations at other schools to join together and take actions to help the Venezuelan people. Last semester, Raíz Latinoamericana helped create Voice for Venezuela, a campaign to bring awareness to the situation in Venezuela, Coral said. Coral is writing and producing the short film, which also aims to give Latin American culture a voice. Romero said it’s important for the Latinx community to embrace their culture at Emerson.